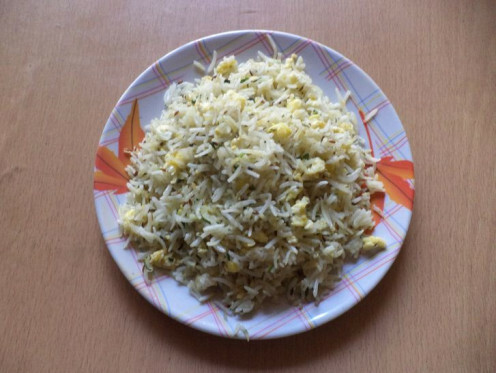 When there is leftover rice from the previous day which nobody at home would eat as it is egg fried rice is an easy recipe to make so that the rice would not go waste. 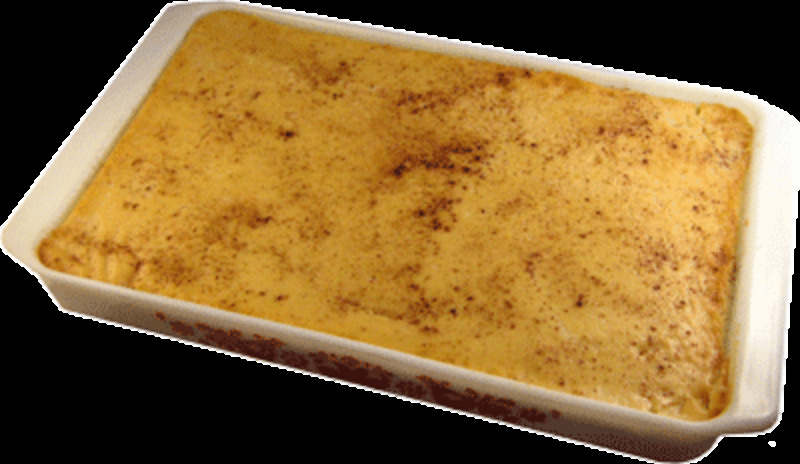 It can be prepared in less than 30 minutes. 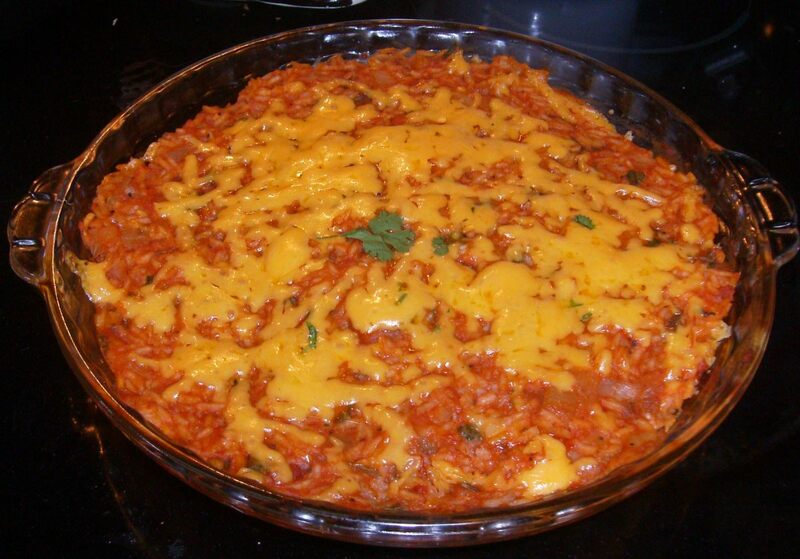 How to prepare egg rice? Making egg rice is easy. 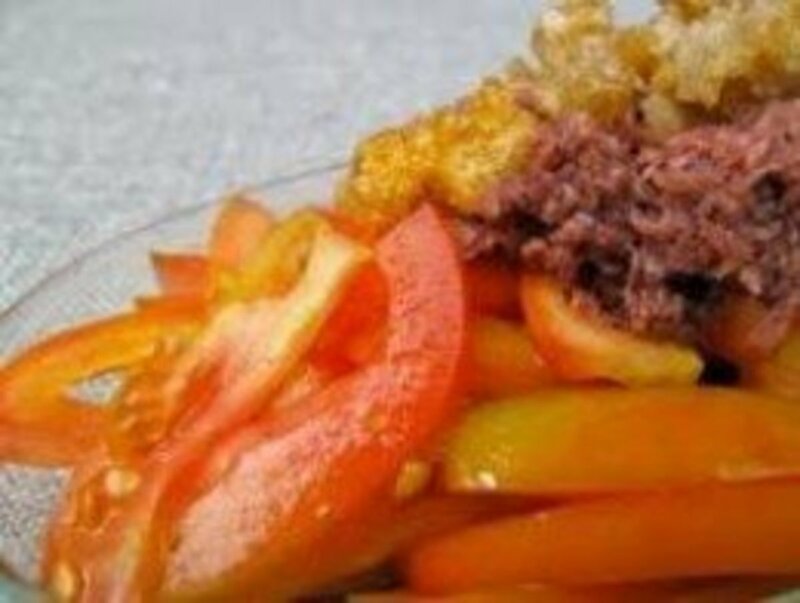 If you do not want to add vegetables you may make the egg rice without it. 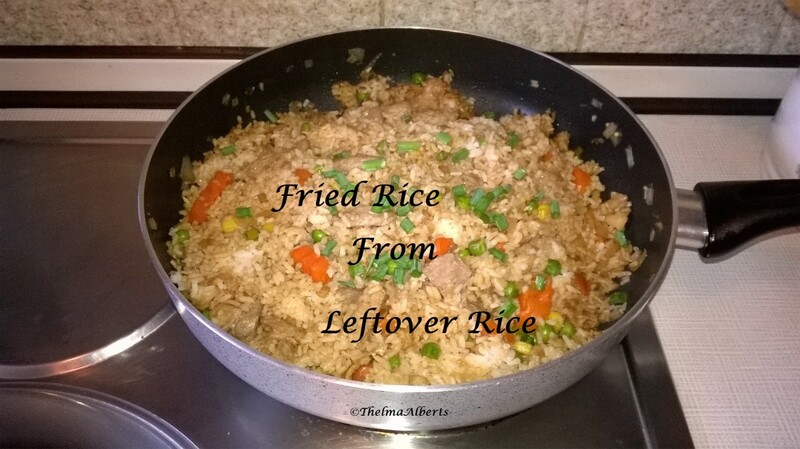 Given are the Ingredients and method of preparation of this leftover rice recipe. Heat oil in a hard bottomed pan and fry the onion till golden brown. Once done add ginger, garlic and green chillies and fry for a minute. Then add the vegetables, turmeric powder, red chilli powder, garam masala and salt and mix well. Once the vegetables are cooked well add the beaten eggs and stir continuously. One the eggs are cooked add the cooked rice and soy sauce and mix it well. Stir fry for 3-5 minutes and remove from heat. Now add the chopped coriander leaves to the egg fried rice and serve hot with papad and spicy curry.